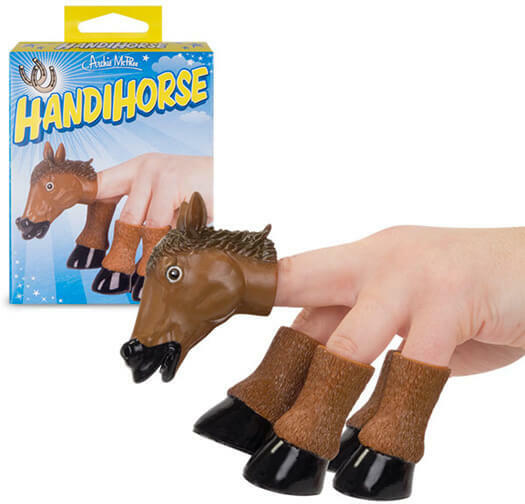 Have you heard of the Handihorse? 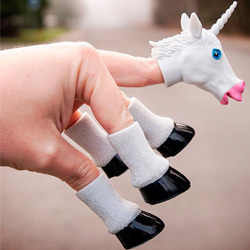 The Handihorse transforms your plain old paw into a proud prancing pony! The average horse is around 15 hands high, but this pocket-sized phalange filly is exactly one. 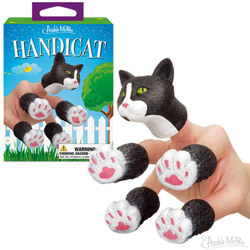 This is a set of five finger puppets. 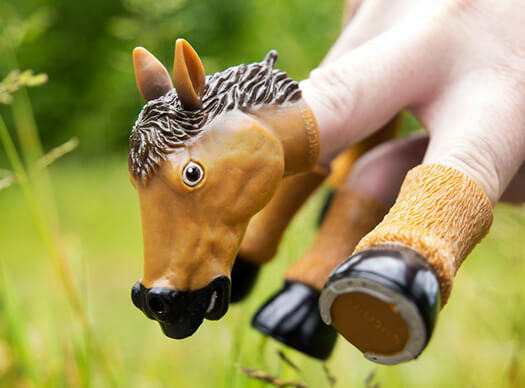 Buy them for your whole family and make a Handihorse herd stampede! Run and be free, Handihorse!